Cross Stitch Happy: Many Thanks to All! 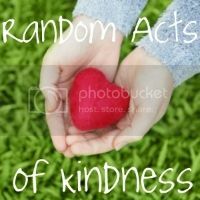 I want to say a Big Thank You to all of you that have stopped by my blog, left comments, sent e-mails, shared photos or offered suggestions, especially over the last few weeks. Work has been very busy and rather draining for awhile - which has left less time for the fun things in life - like blogging and stitching. I was supposed to be on vacation last week but ended up canceling that because of things going on at work. That is okay except I thought I would have lots of stitching time which, of course, didn't happen. I am trying to catch up on e-mail this week - so if you haven't heard back from me yet, don't give up. I have been working on several new charts even though I've been rather distracted of late. I'm having trouble deciding which version I like best on some of them, so I may just post several versions and let the everyone decide for themselves which one they like best. Is that silly? I'm just not good at these kinds of decisions and there are other things to stress over, rather than this. 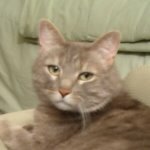 But, before I post new charts, I have to share pictures of the wonderful PIF I received from Carol S on Thursday afternoon. She sent a perfectly stitched and finished floss tag, even including some gorgeous Ozark Sampler threads that I can hardly wait to stitch with! 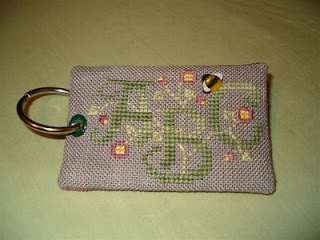 I'm going to have to try making some of these tags, they are a really cute finish. Thanks so much, Carol! You are welcome Sharon! I had fun stitching this PIF for you. And thank you so much for the wonderful charts you just posted - those are simply awesome! Absolutely beautiful! I must try one myself! thanks so much for the gorgeous designs! I really admire those of you who can design for cross stitch. 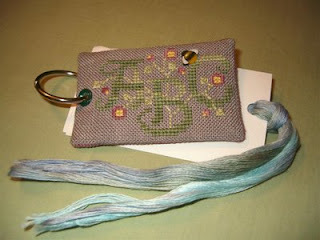 I hope to stitch up one of the scissors fob and case some day.